I am often in Paris by myself, because Joan is either in Japan or unable to get away from her always busy gallery. I don't mind spending some time by myself as it gives me an opportunity to experiment in the kitchen with some of the wonderful ingredients you can find in Paris at any time of year. I arrived today and headed straight to the open air market near the Place de la Bastille, one of Paris' biggest and most successful markets. There I was confronted by the products of the season: white asparagus, fresh morille mushrooms, and gariguette strawberries. So I bought a bunch of morilles, some wonderful mixed salad greens, shallots, white asparagus, cheese and bread to make a meal (I also bought half a rotisserie chicken for lunch). I passed on the gariguettes, which I find too mild and boring: I prefer to wait for the sweet "real" ones in June and July. 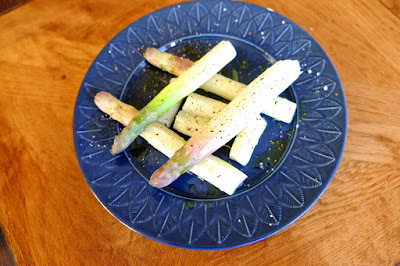 White asparagus peeled and steamed, served simply with olive oil, fleur de sel and coarsely ground pepper. 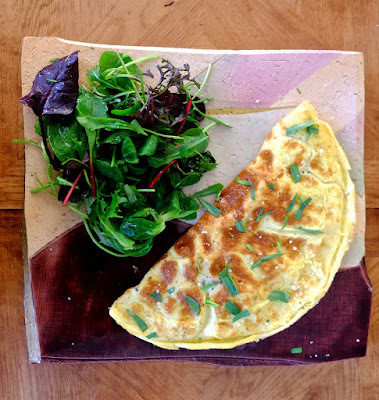 The main course was a puffy omelet with morilles and tarragon, with a side salad of mixed greens and a simple vinaigrette. 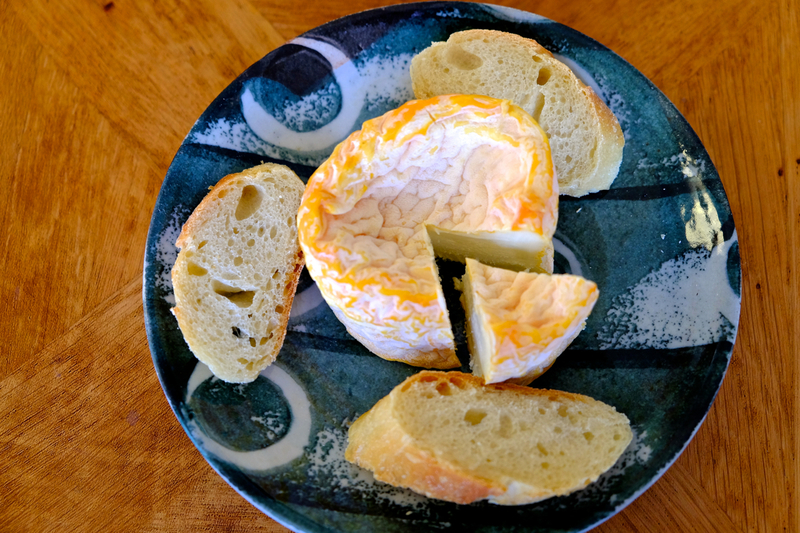 Dessert was a little slice of langres, a pungent and creamy washed-rind cheese from Burgundy, with baguette slices. Et voilà, a simple but satisfying meal made by taking advantage of what nature (and some very able farmers) give us.